We try to update this page daily, but people keep buying our trucks and SUVs! Please call or come by to see Chris or Lena for the most up-to-date inventory of pre-owned trucks and SUVs. We also offer extended warranties on our vehicles .. Shop our low prices against anyone anywhere !! only thing you add is the sales tax and tag nothing else !! 2011 ford fusion HYBRID with only "26,000 miles "
here is a great gas saving mid size sedan that comes with automatic transmission, cloth bucket seats with center console, air cond, tilt wheel, cd player, power windows, power locks, mp3 player, steering wheels controls, rear parking sensor, keyless entry door pad, sync bluetooth audio, heated mirrors, the " gas saver" 4 cylinder engine is also a hybrid that gets fantastic fuel mileage you can't find ones this clean and sharp out there plus it only has 26,000 miles on it and it's a local one owner to boot!!! better come check it out before it gets gone these are hard to find !!! 2011 ford fusion HYBRID with only "36,000 miles "
priced for only $9,500.. that's below book value !! This hard to find mid size sedan gas saver comes with automatic transmission, HYBRID 4 cylinder fuel system that gets fantastic gas mileage, air cond, cd player, power windows, power door locks, mp3 player, rear parking sensor, cruise control, tilt wheel, keyless entry on door, heated mirrors, alloy wheels , new tires, cloth interior, sync audio with blue tooth, steering wheel audio controls, 0nly has 36,000 miles on it, plus it is also a local 1 owner car... these are hard to find and ones this clean and low mileage don't come along very often..!! 2013 chevy impala LS with only "39,000 miles"
This 4 door luxuary car comes with automatic transmission, cold air cond, tilt wheel, cruise control, power windows, power door locks, power mirrors, front bucket seats with fold down center console , cd player, keyless entry, alloy wheels with brand new tires, it comes with the 6 cylinder engine that gets great on fuel, it's only has "35,000" actual miles on it !! plus it's a one owner and it's super clean inside and out !!! better hurry these are very hard to find cars that don't last long.!! no hassle sale price of only $9,000... !! this four door sedan comes in a automatic transmisson, air cond, power windows, power door locks, keyless entry, tilt wheel, cruise control, cd player, alloy wheels, bluetooth, electronics package, it also has the " 2.5L engine" that geats great mpg , mp3 player input, it's a local 2owner vehicle that has a clean carfax with no accidents or paintwork... if your looking for a super clean four door car then check this one out shop this price and car anywhere they can't beat it !!! 2010 ram 1500 quadcab 4x4 with only 74,000 miles ! on sale for only $14,900.. that's below book value for a truck ! THIS full size 4 door truck comes in 4 wheel drive with automatic transmisson, it has the 4.7 v-8 engine, it comes with air cond, power windows, power door locks, tilt wheel, cruise control , cd player, the ever popular rubber flooring for easy clean up, leather bucket seats with fold down arm rest or seating, trailer brake package with tow package, spray in bedliner, plus it has only 74,000 miles on it !! plus it's also a local one owner to boot with a clean carfax for peace of mind !!! 2017 ameri-lite camper super lite 198BH by gulf stream. This is a super clean camper that has a queen bed in front with bunk bed sleeping in rear, kitchen table that folds down for another bed for sleeping, kitchen with microwave, gas stove top, sink, fridge to keep drinks cold, it has air cond and heat, rear bathroom with stand up shower and toilet, outside awning, freshwater holding tank and sewer holding tank, fully self contained, it is only 21 foot for easy pulling and parking, it weighs in at only 2800 pounds so easy to pull with most anything, plus it's a local 1 owner to boot..!! 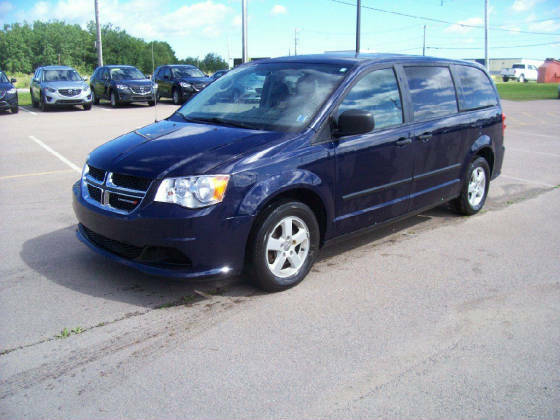 2012 dodge grand caravan with rear bucket seats & 3rd row seating with "only 36,000 miles"
THIS minivan comes with automatic transmission, air cond, rear air cond and heat, tilt wheel , cruise control, bucket seats in front , power windows, power door locks, rear bucket seats, 3 rd row seating, the every popular " stow-n-go" seating, the pentastar 3.6L v-6 engine for great power and fuel mileage!! it has a hard to believe only " 36,000 MILES" it's also a local 1 owner that has clean carfax for peace of mind like all our vehicles do unlike other dealerships !!... i dare you to find a nicer and cleaner one out there anywhere !! come get it before it gets gone these are super hard to find in this condition !! 2013 dodge ram 1500 crewcab " 4 wheel drive"
this full size crewcab truck comes with automatic transmission, " 4 wheel drive", tradesman package, air cond , tilt wheel, cruise control, cloth front bucket seats with center console, dual side climate control, power windows, power door locks, mp3 and usb radio system, it has the 315HP "3.6 pentastar v-6 motor" for power and fuel mileage, it"s only has 89,000 miles, tow package, it's a local 1 owner with clean carfax it's super sharp and extra clean, shop my price anywhere no one can come close " !! 2012 jeep wrangler sport 2 door in very rare " orange crush color !!" This jeep wrangler comes in a sport package with 6 speed transmission, 4 wheel drive, air cond, power package with power windows, power door locks, keyless entry, tilt wheel, cruise control, bluetooth, front fog lights, aux audio with usb connection, cloth seats, pentastar 3.6 v-6 engine for power and fuel mileage, tinted soft top, aftermarket moto metal wheels with all terrain tires" high dollar wheels and tires", it comes in the very rare and hard to find " ORANGE CRUSH" color, it's a local two owner jeep in stock condition for peace of mind.. only has 105,000 miles on it which does go up as i drive it personally every day !! 2011 Toyota Rav-4 Sport "4 wheel drive" with sunroof and v-6 engine !! was $10,500 now on sale for $10,000 that's below book value for a toyota! This suv comes in a 4 wheel drive/ all wheel drive, with automatic transmission, power windows, power door locks, tilt wheel, cruise control, cd player, the ever popular v-6 engine for power, it also comes in the sport package with alloy wheels with new tires, Sunroof, roof luggage rack, it's also a Local 1 owner too boot with a clean carfax for peace of mind unlike other dealerships !! plus it comes with a 3 month/ 4500 mile powertrain warranty for peace of mind. 2010 toyota highlander Limited with 3rd row seating " like brand new must see !!" was $13,900 ON SALE FOR $13,500 that's below book value for a toyota !! this toyota mid sized suv comes fully loaded with heated leather seats, dual power seats, fold flat 3rd row seating, sunroof, rear power liftgate, back up camera, navagation, push button starting, blue tooth,rear air cond, V-6 engine, alloy wheels, JBL stereo system, luggage rack, it's a local 2 owner with no accidents clean carfax, reagular oil changes and maintaince, the limited comes with everything you put on a suv, it's super clean with only 119,000 miles, these are super hard to find and near impossible in this condition so you better hurry !!! This tag along camper is just the right size it's just under 20ft with single axle, it's a high end camper that you usually don't find in this size range, it has queen size bed in front, kitchen table that folds to make a bed for the little ones, it has refridgeatior, microwave, gas stove top with overhead fan and lights, full size sink, cd player with built in outside speakers, lots of wood cabinets for storage space, gas heat to keep you warm, air cond to keep you cool, rear bath with toilet and full size shower, full size awning, gas hot water heater, fresh water tank and holding tank, sewer holding tank, no cheap carpet in this camper it's got beautiful vinyl flooring through out, it comes in at under 2800 pounds weight for easy pulling. better hurry these are hard to find and go fast !!! sale price of only $ 14,500 ! that's below book value ! here is a midsize suv that comes in front wheel drive with automatic transmission, air cond, tilt wheel, cruise control, cd player, power windows, power door locks, v-6 engine, it also has " heated bucket seats" with center console , remote start, rear bucket seats, 3rd row seating, 20" alloy wheel package, luggage rack on top , keyless entry, steering wheel audio controls, navagation, back up camera, every opition this one has on it, it's a local 2 owner new car store trade -in and only has 79,000 miles on it .... clean carfax for peace of mind, this is a very above average and super clean and sharp suv you must see !!! 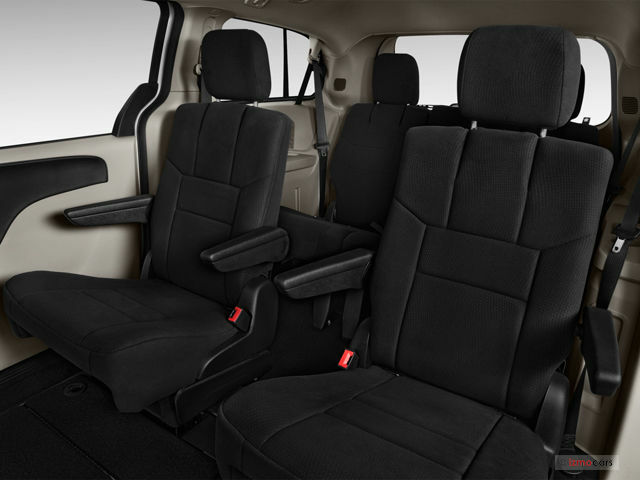 this minivan comes with automatic transmission, air cond, pentastar v-6 engine, front wheel drive, cloth front bucket seats with center console, rear air cond and heat, 3rd row fold flat seat, stow and go storage with center bucket seats, tilt wheel, cruise control, power windows, power door locks, keyless entry, alloy wheels, roof rack, with only 79,000 miles on it plus it's a local 1 owner that has no accidents clean carfax for peace of mind ! !